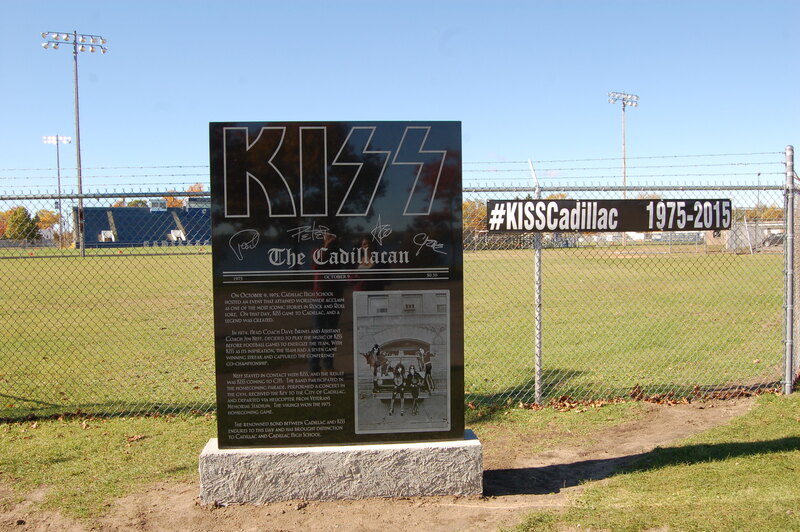 In early October, a small monument was placed on the south side of the football field at Cadillac High School to commemorate a historic moment in history for the city of 10,000 as well as one of the biggest rock bands in history – KISS. 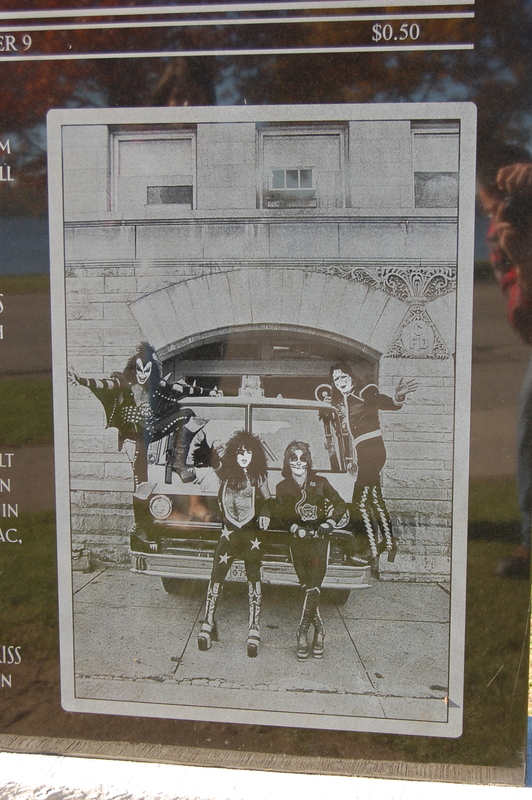 The black granite monument features several photos from KISS’ time in town, and provides a bit of the backstory. 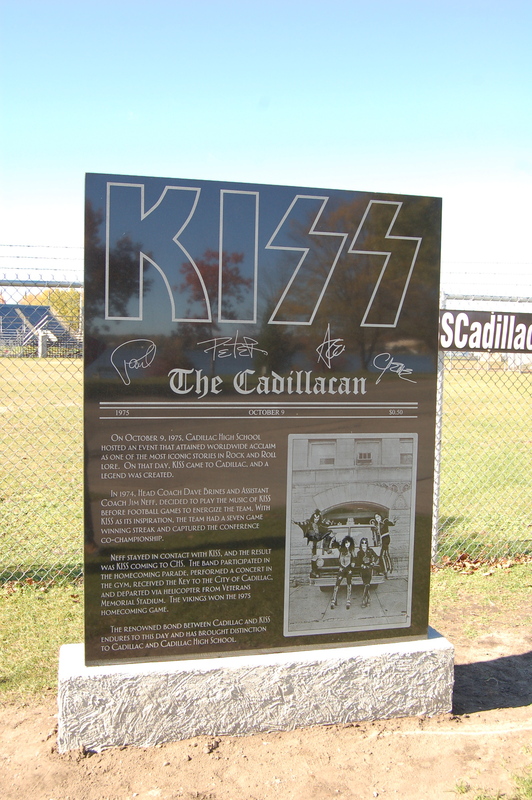 “On October 9, 1975, Cadillac High School hosted an event that attained worldwide acclaim as one of the most iconic stories in rock and roll history. 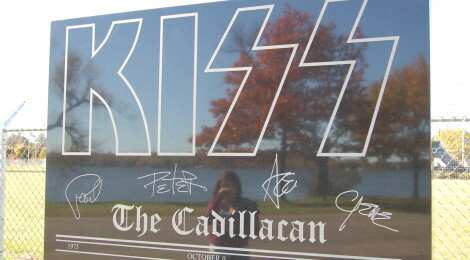 On that day, KISS came to Cadillac, and a legend was created. 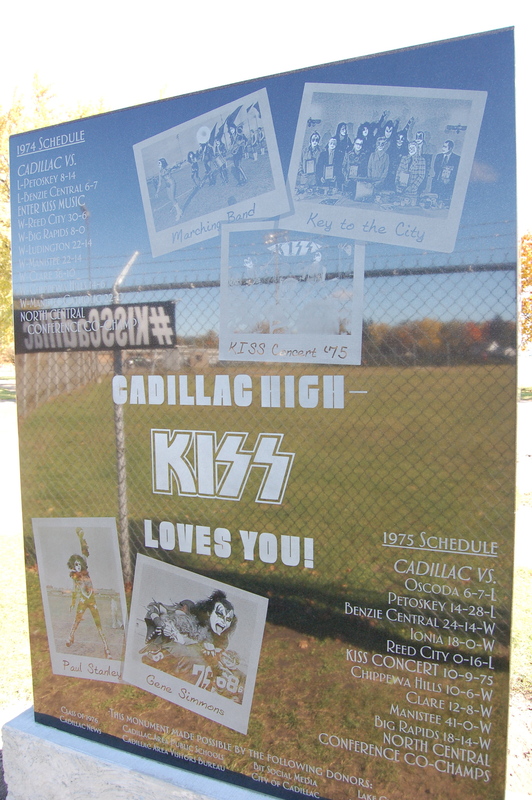 In 1974, head coach Dave Brines and assistant coach Jim Neff, decided to play the music of KISS before football games to energize the team. 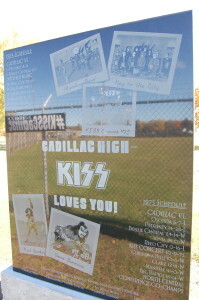 With KISS as its inspiration, the team had a seven game winning streak and captured the conference co-championship. 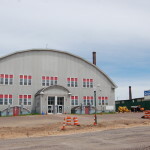 Neff stayed in contact with KISS, and the result was KISS coming to CHS. 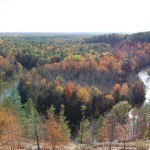 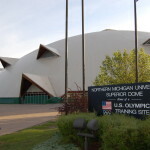 The band participated in the homecoming parade, performed a concert in the gym, received the key to the city of Cadillac, and departed via helicopter from Veterans Memorial Stadium. 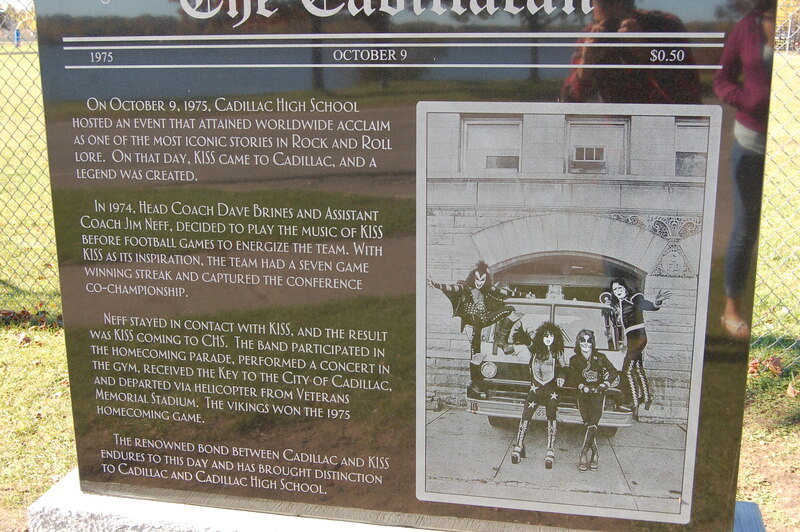 The Vikings won the 1975 homecoming game. 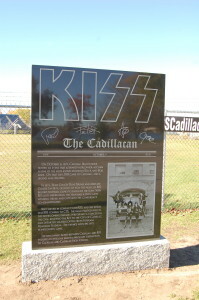 The back side of the monument features more photos, and acknowledges those responsible for making this nod to history a possibility. 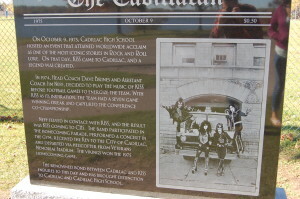 It also shows the football team’s schedule and scores from the 1975 season. 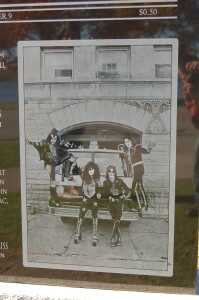 Known for their costumes, black and white make-up and high-energy live shows, KISS (Gene Simmons, Ace Frehley, Peter Criss and Paul Stanley) rocketed to rock and roll stardom in the 1970s and went on to sell more than 100 million records. They were inducted into the Rock and Roll Hall of Fame in 2014. 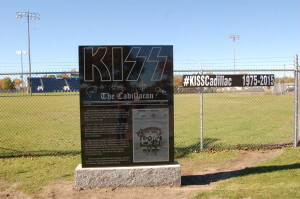 Cadillac’s KISS monument can be found on the south side of the high school’s football complex, which borders Chestnut St. Lake Cadillac is across the street.